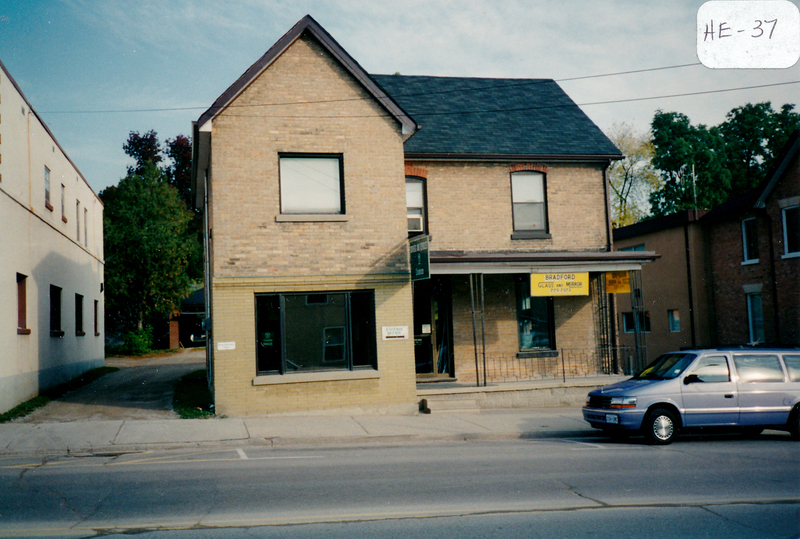 The mid-block building located at 37 Holland St. East was built in the Gothic Revival style in the 1880-1890’s. Originally, the left side on the ground floor contained an office occupied by grain buyers. It had a front door and a small window. The remainder of the building was used as living quarters for several families over the years, including Art Hand (a painter and decorator) and his wife (Sawyer), and later their son Orville and his wife Helen (Noble). It was eventually sold to Mr. Glass, a merchant.